This model is effective for standard cell disruption and many other small volume applications. Probes are available in three different sizes. The unit is effective for standard cell disruption, DNA/RNA shearing, homogenization and many other applications. The Q125 is ideal for small samples and for customers that do not plan to scale up to larger volumes in the future. This model offers the same programming and display features as the Q500 unit. Adjustable pulse On and Off times can be programmed from 1 second to 1 minute. Total programming has a maximum setting of 10 hours. A wide variety of probes and accessories are available to handle virtually any application. Part #Q500 includes a standard ½” diameter probe with replaceable tip (#4220). A variety of probe/horn options are available and the system can be purchased without the standard probe by selecting #Q500A. A large, color LCD screen clearly displays all operating parameters and options. Intuitively and quickly access any of the sonciator’s functions with a simple touch. The new Q800R Sonicator system was designed specifically for DNA and Chromatin shearing. DNA can be sheared to specific size ranges making it an ideal system for preparing samples for Next Gen Sequencing. The device is compatible with commercially available sample tubes and is capable of processing up to 24 samples at one time. The Q800R is a complete package including a chiller to control temperature, digital operating system with programmable memory, high intensity ultrasonic horn and sound reducing enclosure. 4 tube rack options are offered to hold a variety of commercially available sample tubes from 1.5m to 300ul. Volumes as small as 50ul are easily processed. Samples are sonicated in closed vessels to prevent cross contamination and foaming. The Q800R incorporates sample rotation to ensure even sonication and reproducible results. Internal lighting illuminates the sample tubes so they can be viewed during processing. In addition to epigenetic uses, the Q800R can be used as a high throughput sonication method for a variety of applications including cell lysis, dissolution and tissue disruption. 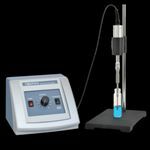 The Q1375 offers the ability to process industrial-scale sample volumes in individual batches or flow-through applications. This model includes a 1-inch diameter, 10-inch long probe and booster. The booster increases the amplitude of the probe which enables larger volumes to be processed. The Q1375 is powerful, durable and customizable. The Q1375 Sonicator offers the ability to program processing times and a full range of intensity settings. Processing time can be set from 1 second to 10 hours. A pulsing feature is standard. Pulsing can reduce the amount of heat generated by sonication when processing temperature sensitive samples. A temperature monitoring probe option is also available. Part #Q1375 includes a standard 1” diameter, 10” long probe (#4597). A variety of probe/horn options are available and the system can be purchased without the standard probe by selecting #Q1375A. Larger, more powerful probe options are available. Contact us to discuss your high volume application. This unit is only available in 220V line voltage. The Q1375 requires a fused, single phase 3-terminal grounding type electrical outlet capable of supplying 50/60 Hz at 220 volts, or 240 volts.